Riparian Rap: The UK's Rivers Trust uses our Em2 to protect people from floods. The UK's Rivers Trust uses our Em2 to protect people from floods. >> Click the image above for link to video on Vimeo. Last winter England saw terrible flooding that has renewed concern over river and floodplain management in the UK and EU. 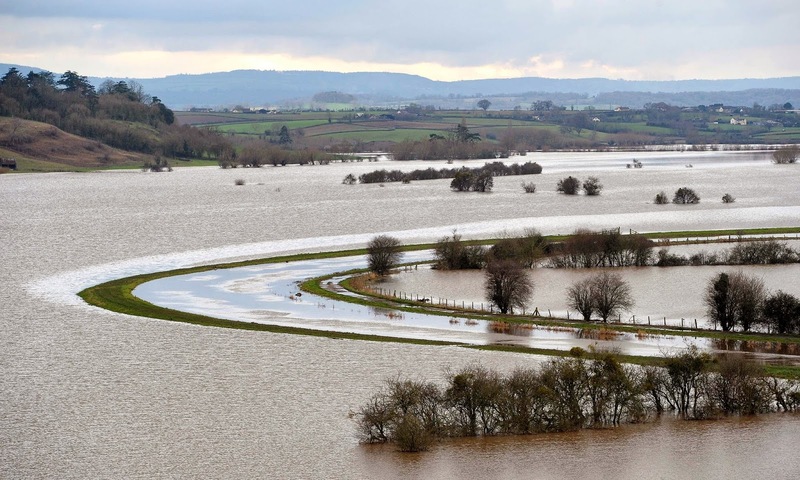 Parts of the UK saw the wettest January in history. The Rivers Trust is a key player in advancing knowledge and practice in this area; our Emriver Em2 was shown at its recent Spring Conference and featured in a well-done video news report by itv's Katie Hunter. At the conference, floodplain managers from northeastern Europe and the UK discussed the ALFA initiative. This EU-funded project aims to address increased climate-change-caused flooding in northeastern Europe. Many thanks to Alistair Maltby (Rivers Trust Director - North) for letting us know about this coverage, and for his successful use of our model in this important role. Our 2-meter Em2 models don't pay the bills at LRRD, but fulfill our mission to provide practical river models for education and outreach at a cost affordable to educators and non-profits. Seeing them play this important role so well (in the able hands of Rivers Trust staff) makes us eager to get to work building more! 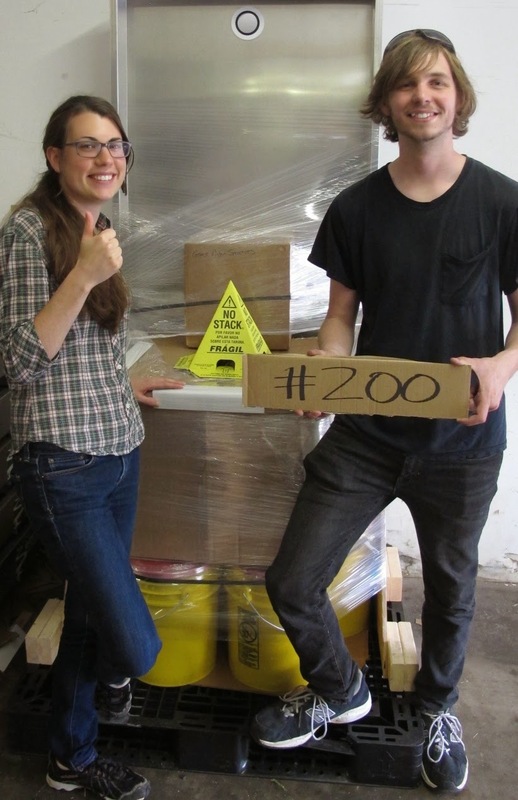 And speaking of building, this is a good opportunity to show Jim and Anna celebrating the shipment of our 200th model last month. UPDATE: June 26 Guardian article on UK flood infrastructure deficiencies.